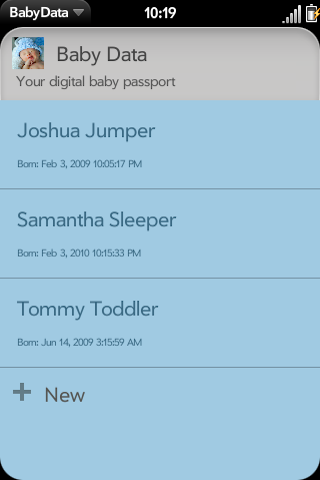 Baby Data is your Mobile Digital Passport. Its always with you wherever you go, no need to pack around a note-pad or computer. In the current release of Baby Data you can track your babies: - Height - Weight - Head Size - Bowel Movements - Eating Schedule Tracking this data is essential to ensure a healthy baby. 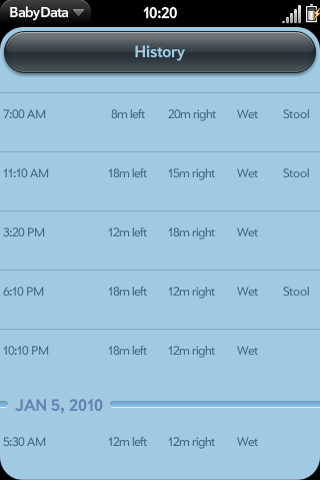 Especially if your baby has Jaundice or any other issues. 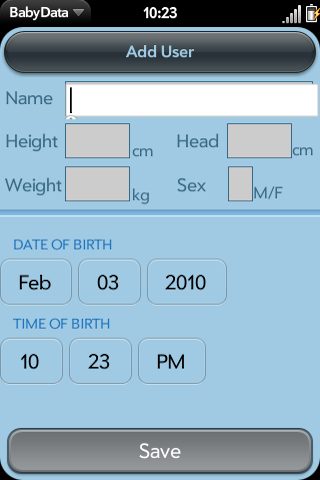 Baby Data lets you track all of this information digitally, all for about the same price as a pad of paper.